If you have developed a report you will surely have experienced this annoying issue. 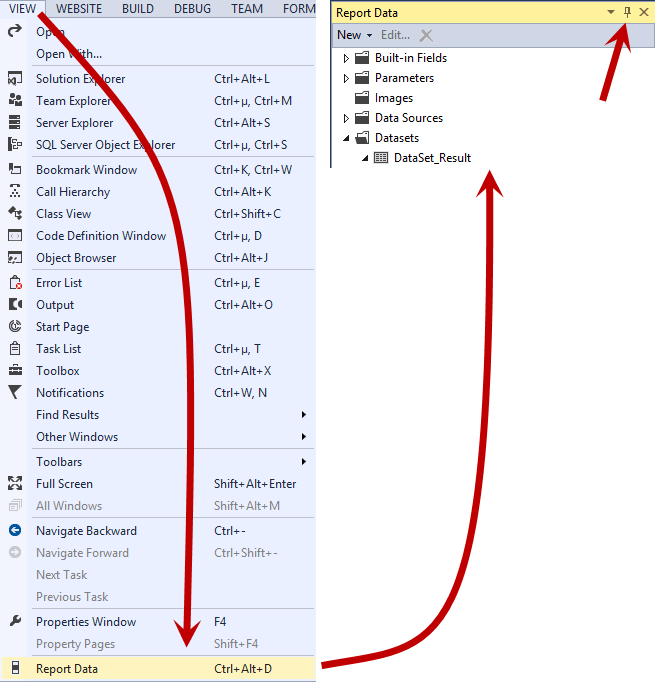 Every time you perform the View, Layout action within the Report Dataset Designer and Visual Studio opens, you have to manually go to the View menu and select Report Data to be able to see the Report Data Pane. Then, because you want this pane to be there the next time, you click the little pin at the right top of the pane, but the next time you open Visual Studio its not there and you have to open it again, manually. Of course after a while you might remember the shortcut Ctrl+Alt+D and open the window a little faster, but still very annoying. Furthermore, when you open Visual Studio and go in the View menu sometimes the Report Data option is not there. 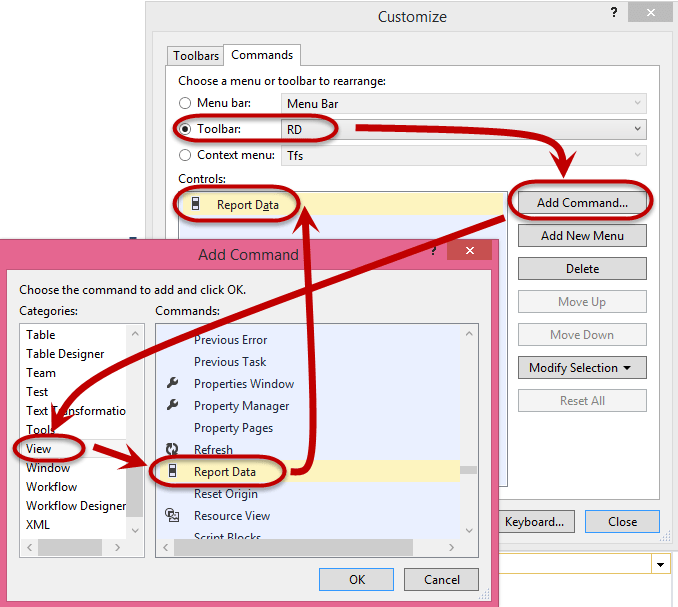 If that happens, simply click in the Report Body, then the menu will refresh and the Report Data option is there again. Thanks for the tip! That worked great to get the toolbar visible, but when I opened my report the button on the toolbar was not enabled. So I couldn’t open the data pane. Any idea how I can fix that? I’m still pretty new to VS.
Thanx Steven! This is indeed a little annoying, especially when you don’t work everyday with SSRS projects.